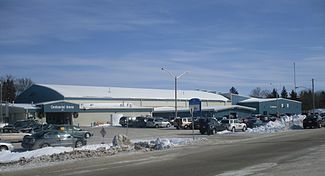 Eastman Speed Skating Club is located in Steinbach, Manitoba. ESSC practices at the T.G. Smith Arena, 321 Elmdale St, Steinbach Manitoba. Welcome to Eastman Speed Skating. At this website you will find information about the Eastman Speed Skating Club (ESSC). We are a member of Manitoba Speed Skating Association and Speed Skating Canada operating under their guidelines and regulations. We receive instruction from a NCCP trained and certified coach. Come join our club! Skaters of all abilities welcome. We accept new members at any time during the season. ​ 204-292-8633 or email to let us know you are interested. We practice at T.G. Smith Arena, Steinbach, twice a week beginning Monday, Oct. 1st, 2018.